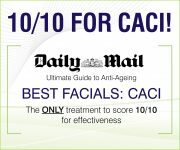 At Beauty by Helen French , our therapists have worked with CACI for over 10 years and have the expertise to personalise your CACI to give you the best possible result. Hydratone uses an intensive, anti-aging Hydro Mask that will intensely rehydrate, revitalise and plump the skin. Hydratone combines active microcurrent rollers which restore muscle tone, firmness and propel the ingredients deep into the skin. It has an immediate cooling effect that will sooth and calm any skin redness and irritation. 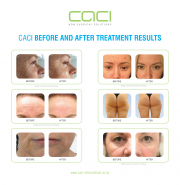 The CACI Eye Revive treatment used serum filled CACI Microcurrent Rollers together with a deeply nourishing Hydro Eye Mask to lift hooded eyes, reduce Puffiness and dark circles and soften the appearance of fine lines and wrinkles around the eyes. Target Deep lines and wrinkles, such as Crows feet or laughter lines with the CACI Wrinkle Comb. This treatment is a non-invasive, needle-free alternative to collagen injections and dermal fillers that will instantly plump fine lines and wrinkles from the very first treatment. Eyes, lips, jaw (Jowl’s), wrinkles, blemishes – tell us your area of concern and we will do the rest. Get those lips looking juicy and luscious. Caci’s award winning Amino Lift Peptide Complex is combined with the Wrinkle Comb and red LED Light therapy to instantly plump the lips and soften the lines, typically associated with smoking, giving the perfect party pout. The Electro Cellulite Massager treatment gives instant lifting and contouring on the buttocks and toning down the thighs. This treatment will improve the appearance of cellulite and break down fatty deposits. It will stimulate circulation and lymphatic drainage, which will help to flush toxins away giving it a smoother and tighter dimple free complexion. Great as a pre-holiday body blitz. 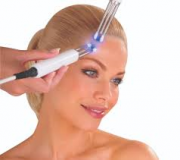 This is our most powerful anti-aging facial at the salon, combining the Environ Collagen Power Peptide Facial with CACI non-surgical eye and jowl lifts. The peptide facial works on your skin tightening, smoothing the texture and plumping fine lines, while the CACI works on your muscles to give a powerful lift around your eyes and jowls. Courses are available in almost all of the above options to provide optimum results. When course are booked with one single payment you will receive one FREE Treatment. Book in for a FREE Consultation now with one of our fully trained CACI therapists on 01744 736170 0r book a FREE Skin Consultation online using our online booking system on our home page. What a great find this salon was! I have only I have only been twice so far but I’ve already booked in more treatments. Totally relaxing and professional Ps: if your thinking about a treatment – The Environ facial is a must!